93.000 MILES WITH FULL SERVICE HISTORY,ELECTRIC PACK,ALLOY WHEELS,CD STEREO,£20 ROAD TAX PER YEAR. LOW RATE FLEXIBLE FINANCE PACKAGES AVAILABLE TO SUIT ALL BUDGETS , FINANCE CAN BE ARRANGED OVER THE PHONE OR ON SITE IN OUR SHOWROOM. ALL MAJOR CREDIT CARDS ACCEPTED . 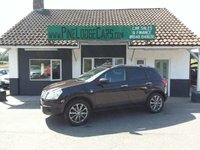 ALL PINE LODGE CARS VEHICLES COME ALL WITH A FULL YEARS MOT , FRESH SERVICE AND A THREE MONTH WARRANTY PACKAGE. EXTENDED WARRANTY CAN BE ARRANGED AT THE POINT OF SALE. PART EXCHANGES ARE WELCOMED TOWARDS THE COST OF YOUR NEW CAR AND PRICE INDICATIONS CAN BE GIVEN OVER THE PHONE BEFORE YOU MAKE YOUR JOURNEY, PLEASE HAVE YOUR CAR REGISTRATION NUMBER AND VEHICLE MILEAGE TO HAND WHEN CALLING FOR YOUR VALUATION.